In this article we answer some well-constructed questions on the issue of reduced and zero-rated VAT on building projects. If you are involved in the construction industry, deliver trades and services or are planning a new building project you will know just how complex the issue of VAT and zero-rating can be. This article poses some very interesting and important questions, with information that could save you a considerable amount of time, money and hassle. Our VAT expert John Craig provides the answers and advice. Can you claim VAT on a new house build? Q. My wife and I have just bought a plot of land. We intend to build a new house on the land and sell it. Can we register for VAT and claim input tax on our building costs? Jointly owned land is classed as a partnership for VAT purposes. Some advisors incorrectly think it is two sole traders owning 50% each. Therefore, the forms to complete when registering will be VAT1 and VAT2 plus HMRC’s property questionnaire VAT5L. The sale of a dwelling built from bare land is zero-rated. It is possible that the sale will be the only taxable supply made by the partnership. This is not a problem for VAT registration purposes, the aim of the project is to make a profit so it is being made in the course or furtherance of a business. The construction services provided by builders will be zero-rated, which extends to materials they provide as part of their work. So, any input tax you claim on a new build project will be restricted to professional fees (architects, surveyors, estate agents and so on) and materials purchased without services, e.g. from a merchant. Can we charge VAT for work carried out on a church? Q. Our company trades as an electrical contractor carrying out a wide range of commercial work. We are currently working for a building contractor who has a contract with a local church to build a new place of worship. The contractor says we should zero-rate our work because the church is a charity and he has received a certificate confirming this is the case. Is he correct? A. Definitely not! A quirk of the VAT rules is that a business working directly for a charity can zero-rate its services (including building materials it provides as part of its service) if it receives a certificate from a charity to confirm the new building will either be used as a village hall or for charitable purposes (non-business). This certificate is only relevant to supplies made by the main contractor to the charity. Sub-contractors working for the main contractor must add 20% VAT to supplies of both labour and materials. Q. It is often assumed that zero-rating will apply to any new residential building project, but this is not always the case. If you are a builder or developer, how can you avoid falling into a potentially very serious trap? A. If you undertake construction of new residential properties, you are probably aware that such supplies are zero-rated. However, what you may not be aware of is that if work is carried out in advance of planning permission being granted, HMRC will argue that, in legal terms, you are supplying building services rather than residential construction. The difference is important because general building services are standard-rated, meaning you should charge VAT at 20%. Don’t zero-rate any invoices if you are in any doubt. You could end up having to pay HMRC the standard rate, even though you didn’t charge anything. Zero-rating can only apply if planning permission has already been granted. Whilst permission can apply retrospectively, it can’t be backdated for VAT purposes. If you are in doubt, request a retainer to cover the amount of tax that will apply if HMRC denies zero-rating to ensure you don’t end up out of pocket. Q. The VAT liability of construction services can be a minefield – the VAT rate is affected by the type of work being done. How do you ensure you don’t miss out on applying the reduced or zero rate? A. Zero-rating applies to the supply of construction services of new residential property. This includes houses and apartments. Zero-rating in these circumstances applies to the main contractor and any subcontractors in the supply chain. If the property being constructed is a “relevant residential building”, it can also be zero-rated. Common examples include residential homes (for the elderly, children etc. ), student accommodation and hospices. In order to zero-rate supplies relating to the construction of a relevant residential building you must first obtain a zero-rating certificate from the developer or owner. However, subcontractors cannot zero-rate their supplies in these cases and must standard rate their supplies to you. If you are constructing a new non-business charity building, this can also be zero-rated if the charity issues you with a certificate. Again, this only applies to you as the main contractor; any subcontractors you use must charge standard rate VAT. • a non-residential building is converted into residential use. • there is a change in the number of dwellings, e.g. turning a house into two flats. • turning a property into a house of multiple occupation, for example a bed-sit. • renovating a residential building that has been empty for more than two years. • converting a property into a ‘relevant residential building’. Here, a certificate is only needed if you are converting a property into relevant residential use. Any subcontractors must charge you standard-rate VAT as the certificate only applies to the main contractor. You can apply the zero or reduced rate automatically in most cases, but if the work relates to a new build or conversion becoming relevant residential property, e.g. a hospice, you must ensure that the developer issues you with a certificate or you will have to standard rate it. 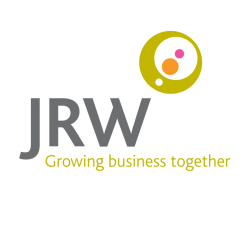 As you will see this is indeed a complex issue and one that requires careful planning and consideration, as ever if you would like further advice please do not hesitate to contact one of the team at JRW.